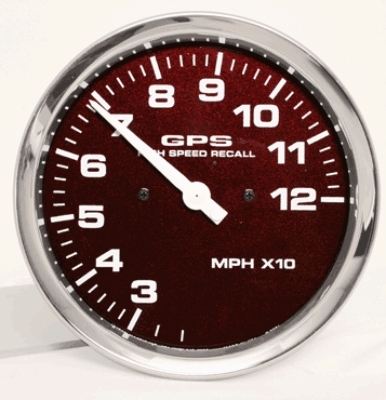 West Coast Offshore carries all the Livorsi Marine Mega & Race Series Boat Speedometers. Livorsi Marine's largest line of high performance marine gauges is the Mega & Race Series with plug-in (Deutsch) connectors. This Mega & Race Series family of gauges range from 2" to 5" that you can inter-mix to create your own custom dash style. Livorsi Marine Mega Rims have a bold, strong look, making your gauges standout like never before. Mega Rims have less height to the rim which gives it much higher visibility when viewing from an angle – a very important factor when operating any boat. Livorsi Marine Race Rims convey a sleeker look that allow your dash to really impress without your gauges standing out too much. Livorsi Marine gauges are now even more easily installed than ever before! The plug-in feature of these instruments drastically decreases installation time needed. The Deutsch Connector Harness plug-in connectors resist salt corrosion and are waterproof. Every Livorsi gauge is enclosed in 100% non-ferrous hardware. These gauges feature red state-of-the-art L.E.D. backlights for viewing ease during low light conditions. Mega & Race gauges are made in Standard or Monster sizes and allow you the freedom to mix and match 2-1/16" gauges with 2-5/8" and 3-3/8" or even 4-5/8" speedometers and tachometers. Create the look you desire with the gauges you require! West Coast Offshore carries all the Livorsi Marine Mega & Race Series Boat 4 5/8" Monster Speedometers. 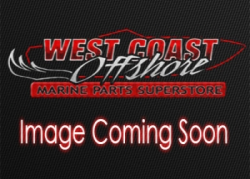 West Coast Offshore carries all the Livorsi Marine Mega & Race Series Boat 3 3/8" Standard Size Speedometer Kits. West Coast Offshore carries all the Livorsi Marine Mega & Race Series Boat 3 3/8" Standard Size Speedometers. West Coast Offshore carries all the Livorsi Marine Mega & Race Series Boat 3 3/8" Standard Size Dry Speedometers.